With Fall supposedly here (the high today is 100! 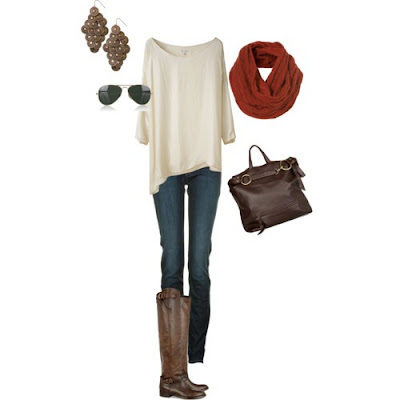 ), I am shopping like crazy and loving the idea of scarves, sweaters, boots, etc. Fall is my absolute favorite time of the year & here are some of my favorite outfits! I am always in a cardigan & this one is so adorable!! Plus you know my obsession with scarves! Perfection!! I actually have that pair of sunglasses and love them! The boots are perfection! I'm not a heels type girl, but for date night with the hubs this whole outfit is just delightful!! Oh I adore #1 and #2. We have similar taste for sure! You're newest follower!